Colored and tinted PVC is a great way to provide various levels of privacy between two areas. Use this strip for indoor applications where temperatures stay between 0°F to +150°F. 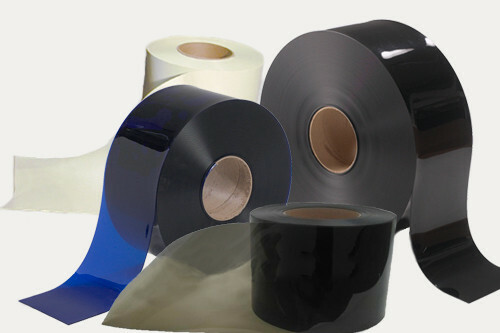 PVCStrip.com offers vinyl strip bulk rolls in 4 different colors: Black, Blue, Smoke and White. Black – This solid, non-transparent material is often used for conveyor openings and secure areas. Blue – This tinted PVC strip is used as an alternative to standard clear strip. Smoke – This gray-tinted PVC material provides less visibility than clear strip and is commonly used in security applications. White – This solid, non-transparent vinyl strip is commonly used to restrict the view of an area. Click on the products below to learn more about each type of colored and tinted strip and their applications.